By nature, the Paleo Diet is based on artery-clogging saturated fats and cholesterol, and bone-damaging, acidic proteins from animal foods. Respected researchers find that those modern-day hunter-gather populations who base their diets on meat, such as the Inuits (Eskimos), suffer from heart disease and other forms of atherosclerosis, and those modern-day hunter-gathers who base their diets on plant foods (starches) are free of these diseases. Osteoporosis, from their high animal food-based diets, is also epidemic among meat and fish consuming hunter-gathers, specifically the Inuits. Low-carbohydrate (low-carb) diets are fueling the destruction of human health and our planet Earth. “Low-carbohydrate” means a diet high in animal foods and low in plant foods. Only plants synthesize carbohydrates (sugars). The body parts of animals, including red meat, poultry, seafood, and fish, and eggs, contain no carbohydrates. Animal secretions (like mammalian milk) contain sugars synthesized by plants (the cow eats the grass that made the sugar). The original Atkins Diet is the ultimate in low-carb eating. This diet works by starving the human body of carbohydrates in order to induce a state of illness (ketosis), which can result in weight loss. People become too sick to eat too much. In an attempt to remedy the obvious harms to human health caused by very low-carb eating, apologists (including the Atkins Nutritionals) have added fruits and non-starchy vegetables to their programs. This effort is supposed to disguise, and compensate for, the unhealthy effects of consuming animal foods at every meal. The Paleo Diet (also referred to as the Paleolithic Diet, the Paleodiet, the Caveman Diet, the Stone Age Diet, and the Hunter-Gatherer Diet) is the most recent and popular approach to weight loss, improved health, and longevity, and is accomplished by eating large amounts of animal-derived foods (which are no-carbohydrate, and high-protein and/or high-fat foods). The Paleo Diet consists mainly of meat, poultry, shellfish, fish, and eggs; non-starchy orange, green, and yellow vegetables; and fruits and nuts. This approach forbids starches, including all grains, legumes, and potatoes. To its credit it also excludes dairy products and refined sugars. Salt and processed oils (with the exception of olive oil) are also excluded. This nutritional plan is based on the presumption that our ancestors, living during the Paleolithic era—a period of time from 10,000 to 2.5 million years ago—were nourished primarily by animal foods. According to the basic theory behind Paleo dieting, as a result of more than two millions of years of evolution, we are now genetically adapted to eat what the hunter-gathers ate—mostly animal foods. The Paleo Diet book (revised 2011) is “the bible” for followers of this approach (page numbers from this book are found in parenthesis in this article). Written by Loren Cordain, PhD, Professor in the Department of Health and Exercise Science at Colorado State University, the Paleo Diet is said to be “the one and only diet that ideally fits our genetic makeup.” (p 3) The author claims that every human being on Earth ate this way for the past 2.5 million years, until the dawn of the Agriculture Revolution (10,000 years ago), when grains, legumes, and potatoes were introduced worldwide. According to Dr. Cordain, “...there wasn’t a single person who did not follow the Paleo Diet.” (p 71). With the development of agriculture about 10,000 years ago, “Paleo experts” teach that human health and longevity plummeted. By no coincidence, the Agriculture Revolution marks the dawn of civilization. “Civilization” encompasses our advanced state of intellectual, cultural, and material development, marked by progress in the arts, music, sciences, languages, writing, computers, transportation, and politics. Research published in the journal Nature (on June 27, 2012) reports that almost the entire diet of our very early human ancestors, dating from 2 million years ago, consisted of leaves, fruits, wood, and bark—a diet similar to modern day chimpanzees. According to research presented in a 2009 issue of Science, people living in what is now Mozambique, along the eastern coast of Africa, may have followed a diet based on the cereal grass sorghum as long as 105,000 years ago. Research presented in a 2011 issue of Proceedings of the National Academy of Science shows that even the Neanderthals ate a variety of plant foods; starch grains have been found on the teeth of their skeletons everywhere from the warm eastern Mediterranean to chilly northwestern Europe. It appears they even cooked, and otherwise prepared, plant foods to make them more digestible—44,000 years ago. A 2010 issue of the Proceedings of the National Academy of Science reported that starch grains from wild plants were identified on grinding tools at archeological sites dating back to the Paleolithic period in Italy, Russia, and the Czech Republic. These findings suggest that processing vegetables and starches, and possibly grinding them into flour, was a widespread practice in Europe as far back as 30,000 years ago, or even earlier. No mention is made by Paleo experts about the frequent and habitual practices of nutritional cannibalism by hunter-gather societies. (Nutritional cannibalism refers to the consumption of human flesh for its taste or nutritional value.) Archeologists have found bones of our ancestors from a million years ago with de-fleshing marks and evidence of bone smashing to get at the marrow inside; there are signs that the victims also had their brains eaten. Children were not off the menu. And we are supposed to eat the favorite meats of our uncivilized, pre-Agriculture Revolution, hunter-gather, ancestors? Furthermore, according to Dr. Cordain, a diet very high in animal protein foods would cause a person to become seriously ill with nausea, vomiting, diarrhea, and eventually death from protein toxicity (also known as “rabbit starvation”). (p 105). For most people the dietary ceiling for protein is 200 to 300 grams a day or about 30 to 40 percent of the normal daily calorie intake. The Paleo Diet is as high as 35% protein. (p 24) Contradicting his warnings, Dr. Cordain consistently and frequently emphasizes that “Protein is the dieter’s friend.” (p 48). Eating animal-derived foods causes our most common diseases for many well-established reasons, including the indisputable facts that they contain no dietary fiber, are filthy with disease-causing microbes (including mad cow prions, and E. coli and salmonella bacteria), and contain the highest levels of poisonous environmental chemicals found in the food chain. Remember, disease-causing red meats, poultry, fish, and eggs make up 55% of the Paleo Diet. Men and women following diets based on grains, legumes, and starchy vegetables have accomplished most of the great feats in history. The ancient conquerors of Europe and Asia, including the armies of Alexander the Great (356 - 323 BC) and Genghis Khan (1162 - 1227 AD) consumed starch-based diets. Caesar’s legions complained when they had too much meat in their diet and preferred to do their fighting on grains. Primarily six foods: barley, maize (corn), millet, potatoes, rice, and wheat, have fueled the caloric engines of human civilization. 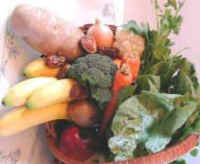 The most effective diets ever used to cure people of common day illnesses, like coronary heart disease, type-2 diabetes, hypertension, hypercholesterolemia, arthritis, and obesity minimize animal foods and require people eat the bulk of their calories from starches, including grains, legumes, and potatoes (foods forbidden to Paleo eaters). Medical giants in starch-based diet-therapy, include Walter Kempner MD, the founder of the Rice Diet at Duke University; Nathan Pritikin; and Roy Swank, MD, founder of the dietary treatment of multiple sclerosis at Oregon Health & Science University. The 2006 United Nations’ report Livestock’s Long Shadow: Environmental Issues and Options concludes: “Livestock have a substantial impact on the world’s water, land and biodiversity resources and contribute significantly to climate change. Animal agriculture produces 18 percent of the world’s greenhouse gas emissions (CO2 equivalents), compared with 13.5 percent from all forms of transportation combined. This report (Livestock’s Long Shadow) from the World Health Organization is a conservative estimate of the destruction caused by the very foods that the Paleo Diet recommends in abundance. Calculations by the World Watch Institute find that over 51 percent of the global warming gases are the result of raising animals for people to eat. A recent report from U.S. Geological Survey estimates that it takes 4,000 to 18,000 gallons of water to produce the beef used to make one juicy hamburger. Every person that Paleo gurus convince to follow an animal food-based diet brings us one more step closer to the end of the world, as we know it. According to Dr. Cordain, “The Agriculture Revolution changed the world and allowed civilizations—cities, culture, technological and medical achievements, and scientific knowledge—to develop.” (p 43) In other words, if people had remained on a diet of mostly animal foods (assuming our ancestors actually did), we would still be living in the Stone Age. Fortunately, the Agriculture Revolution, with the efficient production of grains, legumes, and potatoes—the very foods forbidden by the Paleo Diet—allowed us to become civilized. Dr. Cordain finishes his 2011 revision of his national best-selling book The Paleo Diet by warning, “Without them (starches, like wheat, rice, corn, and potatoes), the world could probably support one-tenth or less of our present population…” (p 215) Choose 10 close friends and family members. Which nine should die so that the Paleo people can have their uncivilized way? There is a better way and that is The Starch Solution.